FOBTs – Should there be more regulation for them? Walk down any high street in 2014 Britain and you’ll be greeted by the same sights – charity shops, pound shops, payday loan stores; remnants of a country still struggling to drag itself out of a worldwide economic funk that sees – finally – a few glimmers of ending. One major reason – some would say the main reason – for the William Hills and Corals of this world’s latest boom is the proliferation of Fixed Odds Betting Terminals, or FOBTs. Fixed Odds Betting Terminals, or B2 machines as they were classified under the 2005 Gambling Act, are ‘touch-screen’ terminals, similar in look to quiz machines which offer a number of betting games like roulette and blackjack. With latest figures suggesting a total of 9,100 bookmakers on the high street in 2014, with an average of three or four FOBTs each, that means there are an estimated total of FOBTs of….well, you do the math. 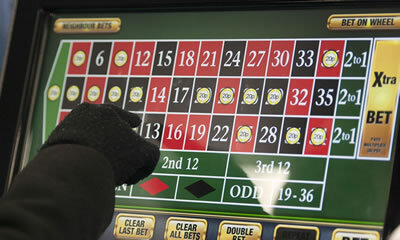 Introduced into betting shops in 2002, at a time when the betting shop industry was unregulated and then-Chancellor Gordon Brown was looking to tax gambling firms, FOBTs have since multiplied, but it’s only post-Recession that their potential damage has been picked up on by campaign groups and the media. Campaign groups claim FOBTs are (in the gambling buzz phrase of the year), “the crack cocaine of gambling” due to the speed with which you can make bets, and the machines’ relatively high maximum bets. According to anti-FOBT movements like the Campaign for Fairer Gambling, FOBTs are making a higher contribution to problem gambling than any other form of gambling. FOBTs are found in high street bookmakers throughout the UK. In recent months stories have clogged up the media outlets about high streets in deprived areas with up to 18 bookmakers on them, all of them carrying FOBTs, leading some to suggest FOBTs are a tax on the poor. In reality, of course, you’re just as likely to find several bookmakers on a street in an affluent area as you are a deprived one but there’s nothing like a media frenzy to spice things up a little. Current laws restrict bookmakers to have a maximum of four terminals per shop, hence the rush to open up more stores to accommodate more machines. Players are presented with a touch-screen of options, ranging from blackjack and roulette to slots. Money is inserted either as notes or coins in the machine itself or using your debit card over the counter. To place a bet you choose the size of your initial stake and touch the screen on the relevant numbers or other selections (such as Red/Black or Odd/Even) to place the bet on the table. Once you have placed your bets you touch the screen again to set the roulette wheel spinning. 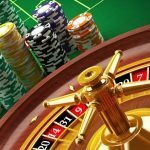 There’s no need to sign up for an account or download any software like you do with an online casino – you just put your money in and away you go. Payouts are not collected in real cash from the machines, however – a ticket is instead printed displaying the remaining credit which gamblers then take to the shop counter to exchange. 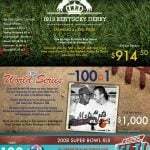 Can You Gamble A Lot On Them? Unlike fruit machines in pubs, bingo halls and amusement arcades, where stakes are limited to £2, gamblers can bet up to £100 every 20 seconds on FOBTs – more than four times as fast as the rate of play in an actual casino. The maximum payout on the machines is £500. What Else Can I Gamble On? What, roulette and blackjack aren’t enough for you? Well, bookmakers are now offering FOBT tournaments for their customers – weekly events where you get to play a selected game for free, with a cash prize on offer. Again, opponents of FOBTs claim these free-to-enter tournaments are held to entice vulnerable people into potentially addictive FOBT content. These Have Been Around A While, Haven’t They….? Fixed-odds betting terminals first appeared during the last Labour government after then chancellor Gordon Brown scrapped tax on individual bets in favour of taxing bookmakers’ profits. 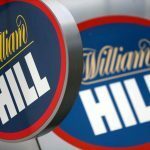 In 2002 the Gaming Board of Great Britain, the forerunner to the Gambling Commission, attempted to stop the proliferation of FOBTs in betting shops by launching a court action against William Hill. Ultimately it failed but bookmakers agreed to draw up a Code of Practice in order to avoid further legal challenges. After the 2005 Gambling Act, FOBTs were given legal backing and put under the same regulatory framework as fruit machines. High-stakes casino-style gambling was banned from high streets but FOBTs used remote servers so that the gaming was not actually taking place on the premises. The Gambling Act put a stop to the use of remote servers but stakes were limited to £100 and terminals to four per betting shop. …So Why The Issues Now? When FOBTs were first introduced the country was in the middle of a boom, with employment and incomes high. However, since the financial crash of 2008 and the deep recession that followed, the media have jumped all over a phenomenon of decaying high streets and the proliferation of bookies in town centres. Stories of problem gambling have hit the tabloids, and while some stories about billions of pounds being bet on these machines are way off the mark, there’s certainly cause for concern. Meanwhile, instances of FOBTs’ use for money laundering by criminal gangs have emerged. The 2005 Gambling Act, which regulates the terminals, says one of its primary objectives is “preventing gambling from being a source of crime or disorder, being associated with crime or disorder or being used to support crime”. At the moment, that objective seems to be failing. Even the money-laundering aspect has shocked the shadow Labour leader, Ed Miliband, who’s pledged to curb FOBTs if he is elected in the 2015 general election. So, The Government Are Going To Crack Down, Then? Well, not exactly. Despite Lib Dem leader Nick Clegg being photographed in support of the anti-FOBT campaign MPs voted in 2013 to keep the status quo of a £100 limit on FOBT bets. And with millions in tax revenue, who can blame them? Who’s Leading The Anti-FOBT Charge? There are two main bodies campaigning to restrict Fixed Odds Terminals: StopTheFOBTs (www.stopthefobts.org) and the Campaign for Fairer Gambling (http://fairergambling.org/). Both organizations have the support of MPs who are seeking to force a reduction in the maximum bet on FOBTs from £100 to £2 a go without the need for new legislation. Have FOBTs Been Linked With Problem Gambling? Since FOBTs were introduced, GamCare, the body that provides support, information and advice to anyone suffering through a gambling problem, has noted a steady growth in the number of callers to the GamCare Helpline and those attending for face to face counselling mentioning FOBTs as their primary form of gambling, they’ve been decidedly quiet on the whole affair since the new media furore and anti-FOBT campaigns were launched. While land-based casinos in the UK have much more power about barring problem gamblers from even entering their casinos, high street bookmakers have a much harder job. FOBTs are usually situated at or near the front of bookies shops, and with members of staff busy behind the plexi-glass dealing with other customers, it’s hard to enforce. One solution is to move FOBTs into segregated rooms, but until specific legislation is brought in, don’t expect the bookmakers – high on the gargantuan profits from instant roulette – to budge anytime soon. The Association of British Bookmakers said there was no direct evidence that FOBTs caused gambling addiction and research suggested, “problem gambling is about the individual player and not a particular product,” with a reduction in stakes unlikely to affect problem gambling. Is There A Case For Supporting FOBTs? Other than competition and a historical relaxed attitude towards gambling in the UK, there’s no doubt the proliferation of bookmakers in the UK has led to more taxes being paid to the country’s coffers, and the shops provide valuable jobs in a still-weak job market. But in reality, how hard will it be to restrict – or ban outright – huge profit-making machines on the high street when you can go online at home and wager to your heart’s content at any one of a dozen Internet casinos? What’s The Future Of FOBTs? In the short-term, probably not much will change. 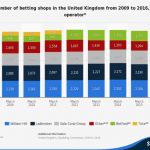 As bookmakers are restricted to just four terminals per shop, more and more bookies shops will undoubtedly open to allow them to include more terminals. Bookmakers often take over shops closed and boarded up, and councils are hardly going to turn away valuable rent revenue. However, a growing negative press over the machines will surely lead to some altering of the law, at least with regards to the amounts gamblers can wager. According to analysts at JP Morgan, a decrease in betting limits seems the most likely outcome rather than an outright ban, although that would certainly hit betting companies’ profits – and the taxes paid to the government. In an economy still pulling its way out of an economic quagmire that could be a compromise too far for the coalition.